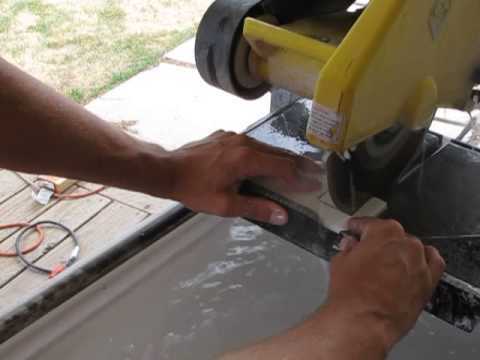 →How To Make Straight Cuts With a Miter Saw? Miter saw is a very reliable tool in a carpenter’s workshop. 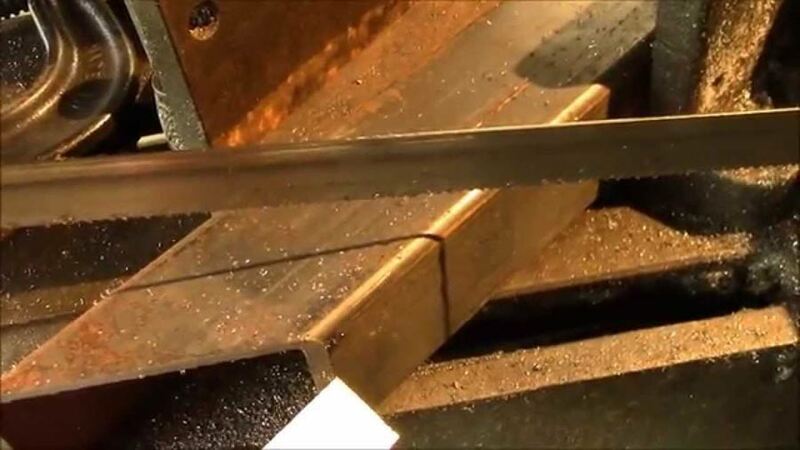 This tool is used for making different types of accurate cuts. Miter saw is a portable device that has blade sizes of 8 to 12 inches. There are basically two types of Miter saws namely manual miter saw and power miter saw. Power miter saw has further three more types: standard saw, compound miter saw and sliding compound miter saw. When it comes to making straight cuts, miter saw is probably the best choice. Now it’s turn to go deep into the procedure of making cuts. A carpenter can easily set up his miter saw by adjusting the knot present between the fence and the blade; however, a better way is to make a cut to check it. When a saw is in sitting position, it’s not sure that the cutting angle is always set to 90 degrees. When anyone tries to cut the wood then it gives the right idea of behavior of miter saw. First of all, take two boards. Ensure that there is at least one board with perfect straight edge. It will help us to join the edge and make it a best way to make a test case. If the boards are wider, it is much better. Now start to make a cut along the jointed edges and keep it against the fence. It is not a problem to cut both the boards at the same time. It is good to set up a cut in such a way that the material can be present on both sides of the blade. If the carpenter is not worried about doing that, there are high chances of blade deflection and it can affect the cut to be made. In other words, if some material is present on both sides, and then it can hold the blade firmly. It will lead to no deflection and we will get a straight cut. Now it’s time for inspecting the cut. To ensure a perfect cut simply put the both the edges on a plane surface and match the cut ends against each other. Now look carefully for any gaps. In case, a gap is found then it clearly means that the miter saw cutting angle is not at 90 degrees. It is very much important to remember that both boards have been into cutting process; therefore, these gaps may have increased the chances of error. So in this situation just check the instruction manual and adjust the saw according to the requirements. Now try again to make another cut and test it. If the edges of cut touch uniformly across the width of the board then you are done with it. In case you are using a miter saw, you must ensure that the saw always make cuts with an angle of 90 degrees perpendicular to the surface of the table to attain a rich finish. Another important step in cutting process is to achieve a line-of-cut fence. By making this type of fence, it eases the wood worker to accurately position his material. There is generally a ruler present between the saw tables and there is a gap also in between them. This gap is responsible to throw out the sawdust and also prevents to sit it in the corner. Now screw the fence properly and try to achieve a cut through it. It is very easy to accurately adjust the material on the saw this time. In addition to this, a woodworker should know his saw. If the saw is cutting perfectly straight, but the miters are not perfectly straight then it means that adjustment of miter saw is required every time he uses the saw. Another problem that can occur is called the blade tracking. The saw blades should be perfectly parallel with the rods. If that is not the case then the trailing edge of the saw blade is going to cut more wood as it goes through the cut point. This type of problem can also arise when the carpenter is working on the tall plunge cuts using a standard miter saw. If the blade is not in the same plane as the arc of the saw head, the blade plate will rub and burn wood at the top of the cut. If the miter saw is not cutting correctly according to the dimensions, then it surely means that something has happened to the saw during the course of use. It is possible that the blade arbor may be a little out of the whack from a sawing accident. Another possibility is that the head might be bent. The problem is that there are no adjustments for the blade tracking problems. The woodworker will either have to replace those parts or he will have to a buy a new miter saw.